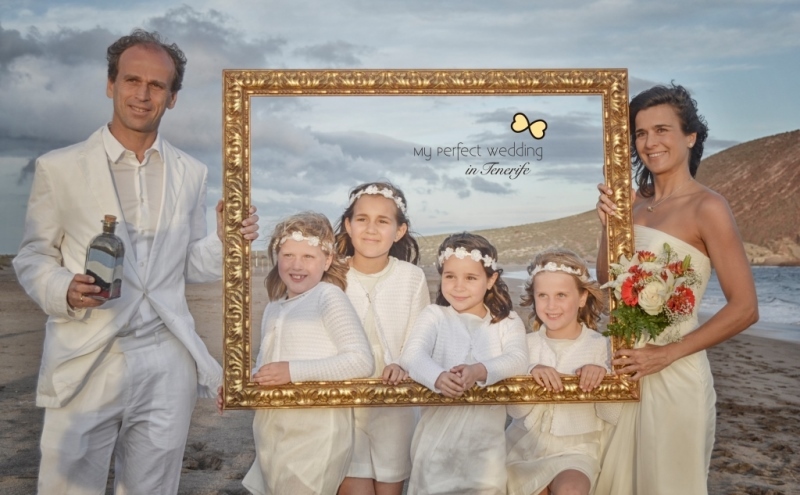 A wedding with the closest family was the wish of Marta and Ricardo. 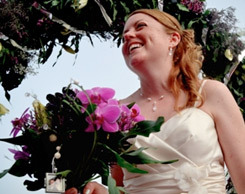 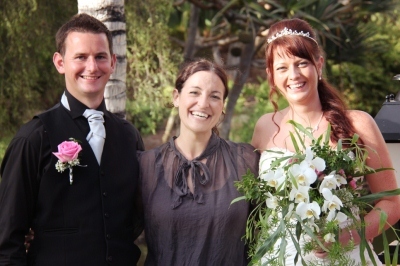 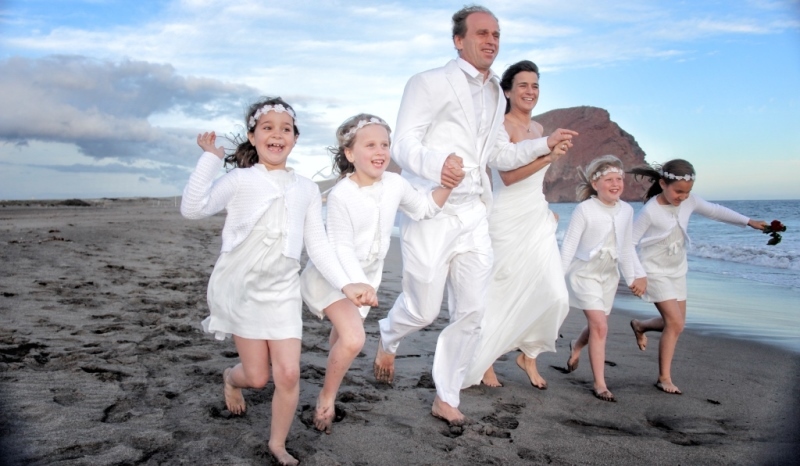 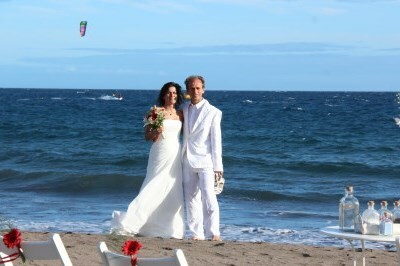 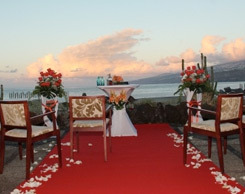 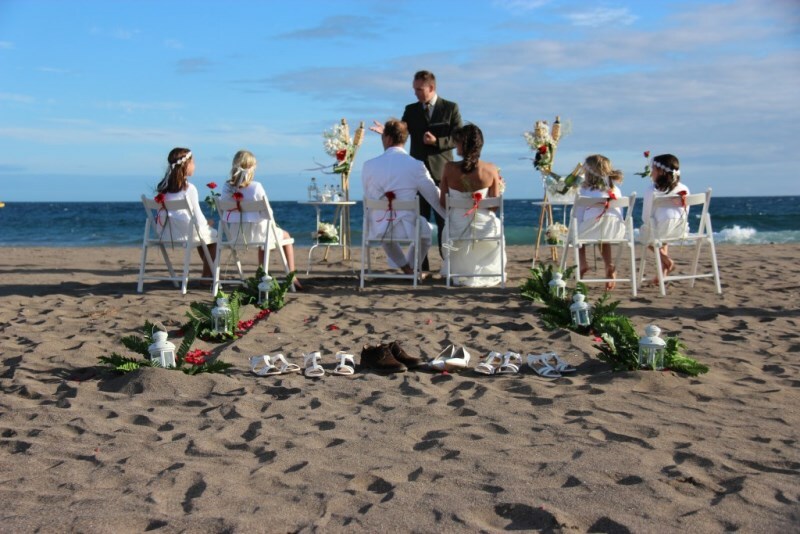 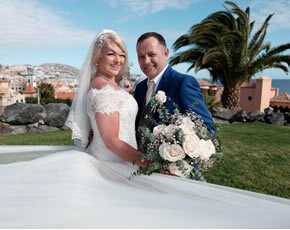 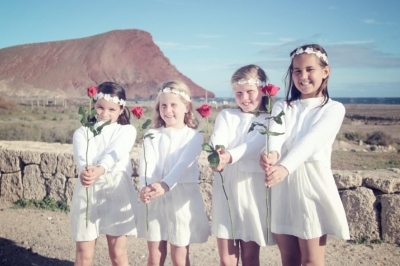 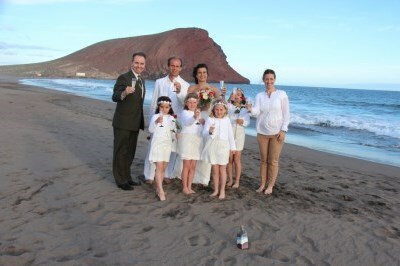 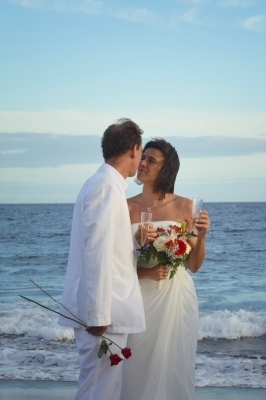 Only accompanied by their 4 daughters the bridal couple tied the knot at one of our wonderful beaches here in Tenerife. 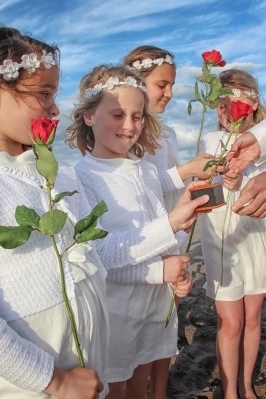 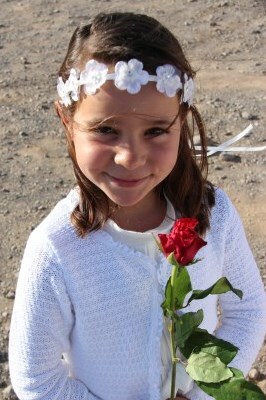 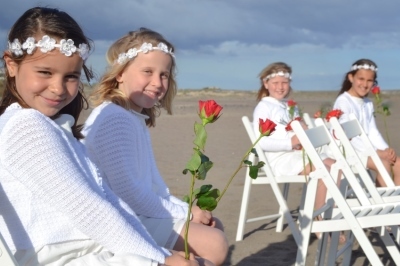 Every daughter was given a red rose for this romantic event and the whole family walked together along the beach to the ceremony. 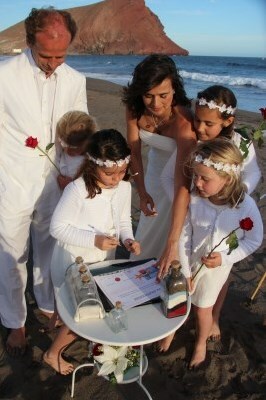 The bridal couple and their little ones were enthusiastic about the lovingly decoration. 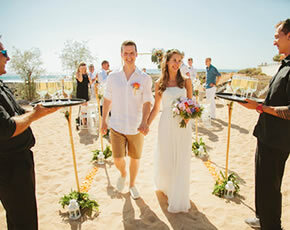 Barefoot in the sand and the sun in their faces the beach ceremony was ready to start. 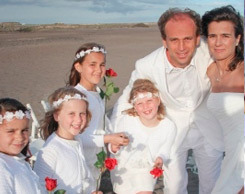 Also the girls were involved in the ceremony so that the whole family could be part of this unique event. 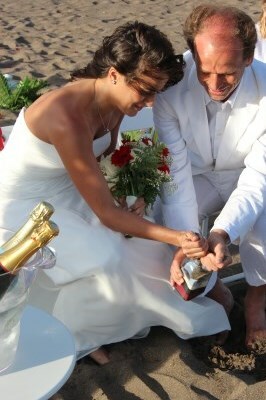 The hands tradition was a touching moment for our beautiful bridal couple. 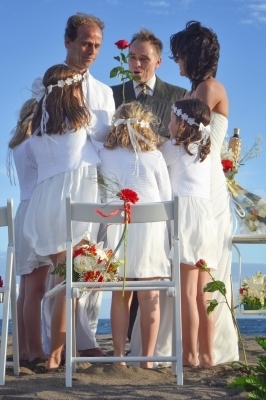 With the handing over of the rings by the little ones and the wedding kiss the wedding was sealed. 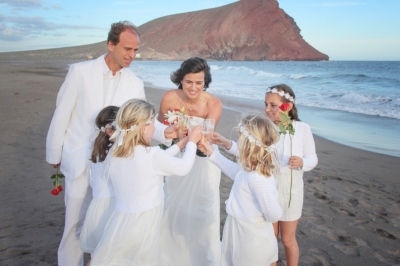 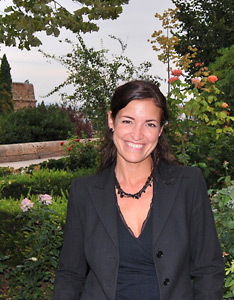 Of course, there was a toast with Nadine García Breuer, your wedding planner in Tenerife and the marriage celebrant. 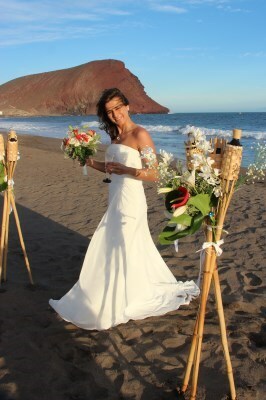 The smile of the bride was as bright as the evening sun. 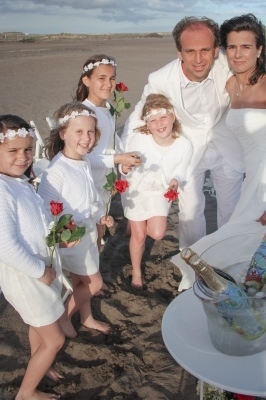 During the following photo shoot all of them had a lot of fun. 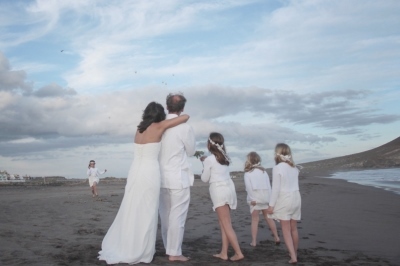 As conclusion of this perfect day everyone let a wish release with a balloon into the air. 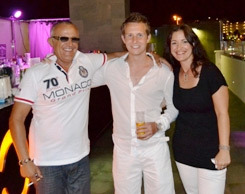 Breuer wish the amazing family all the best.